Lark Group held a ground breaking ceremony yesterday for their next phase in the Health & Technology District – City Centre 3. 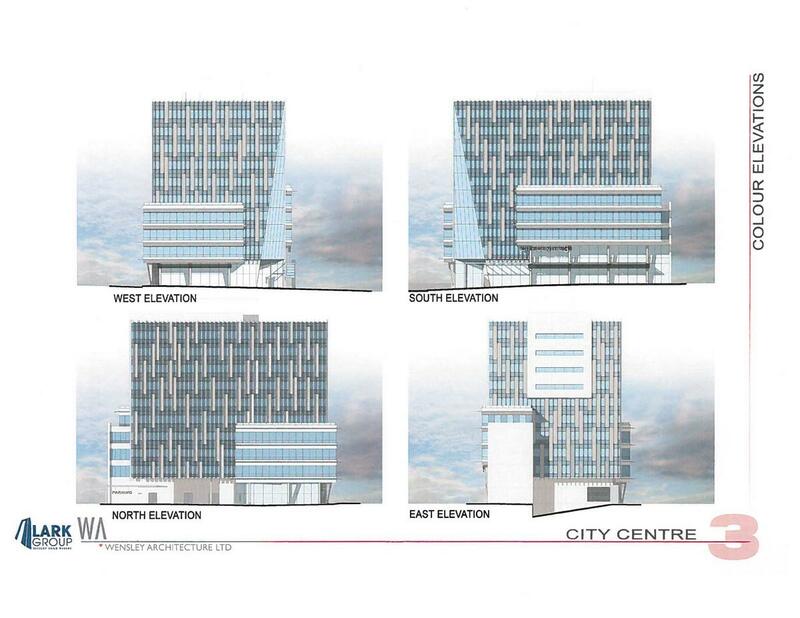 The new 10-storey office building will be the latest in a series of 8 planned buildings for the district, home to a network of academics, entrepreneurs, multinational companies, start-ups, and some of the most advanced digital health, wellness, technology, and clinical service organizations in the world. 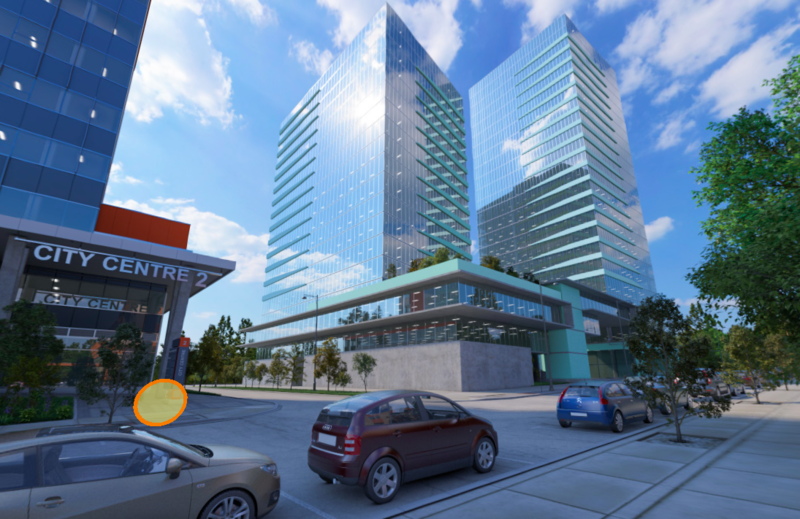 Situated directly across the street from Surrey Memorial Hospital at 96 Avenue and 137A Street, the tower will contain offices, retail and restaurant services, state-of-the-art fitness facilities, secure underground parking, and a common area rooftop terrace. Completion is expected by 2021. 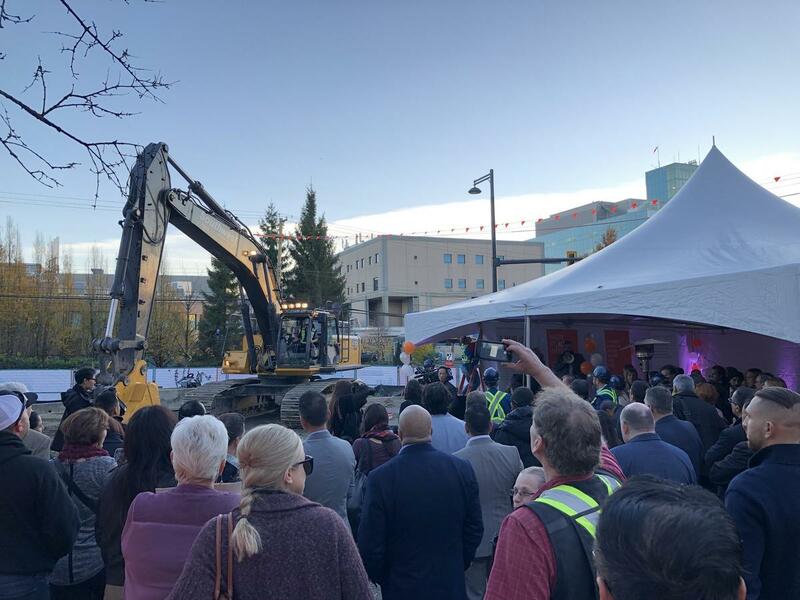 The ground breaking ceremony was attended by the newly elected Mayor Doug McCallum, as well as a number of Councillors, representatives from Lark Group, and business leaders involved in the Health & Technology District. While McCallum praised the District as playing “a major contributing role to the economic growth of Surrey” he of course failed to recognize that due to his government’s action, the district will no longer be receiving a rapid transit station as was planned for 96 Avenue with LRT. It’s unfortunate that this significant and growing employment, research, and medical hub will now continue to be serviced by a small bus stop at 96 Avenue and King George Blvd so that SkyTrain can be built along Fraser Hwy serving low density suburban neighbourhoods instead. 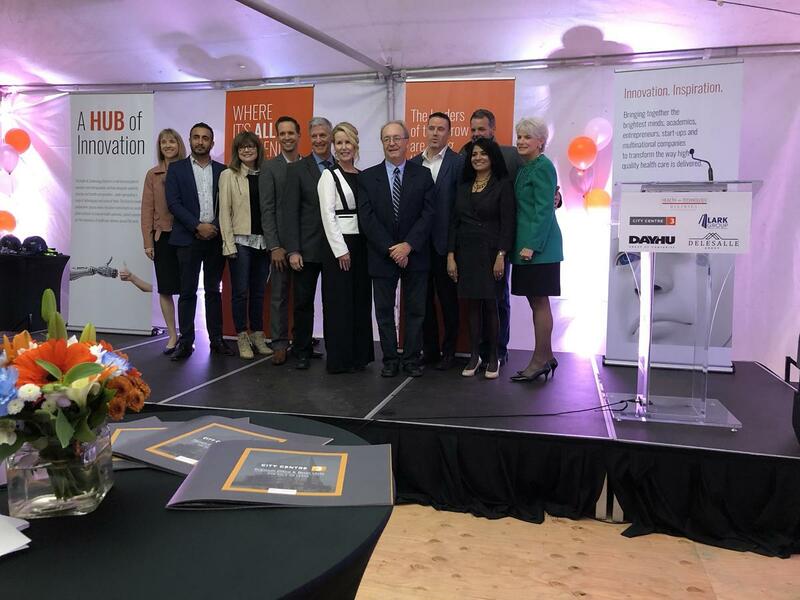 The Health and Technology District is being developed by Lark Group in anticipation of the rapidly growing health and technology sector in B.C. 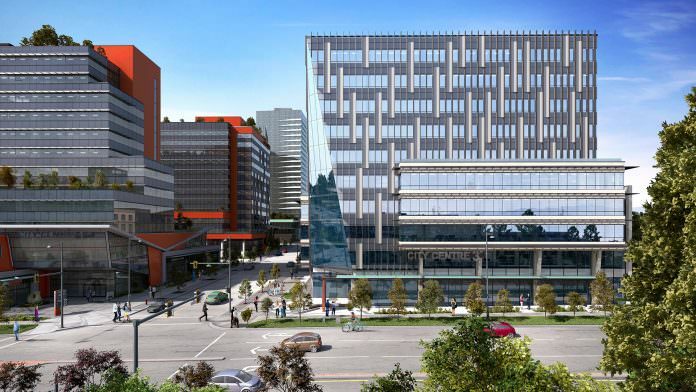 The District has already attracted a large number of innovative health, education and technology organizations to its first 2 buildings – City Centre 1 & 2 – and is becoming a new epicentre for BC’s emerging technology economy. New renderings have been released by Stambol Studios of Lark Group’s upcoming City Centre 3 project in the emerging Health & Technology District. 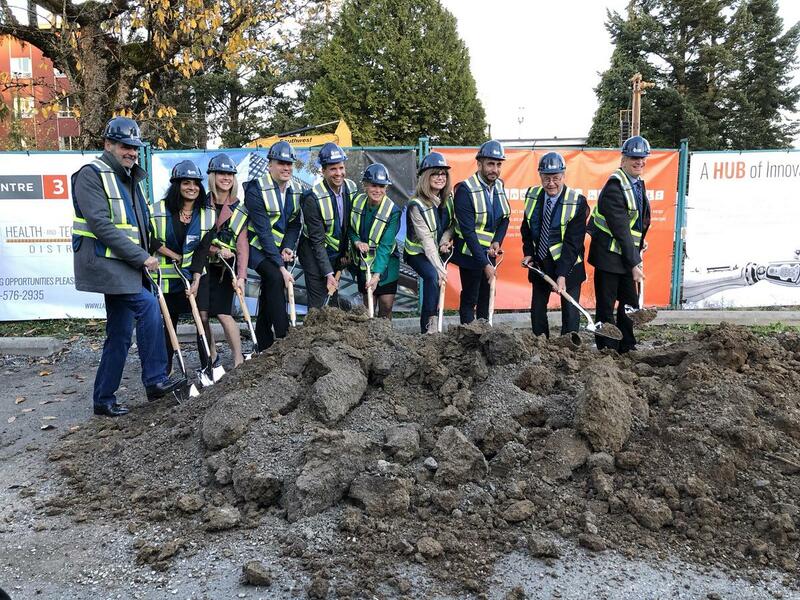 The 10-storey project, which received preliminary approval in October 2017, is the 3rd building in a series being developed by Lark Group to the north of Surrey Memorial Hospital near 96th Avenue and 137A Street. 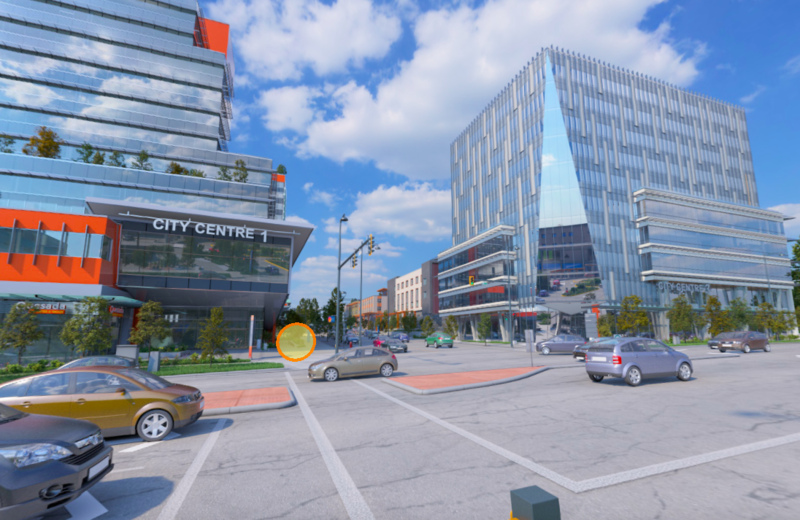 As shown by the photo-realistic renderings, City Centre 3 will create a strong street wall along 96th Avenue, different from that of its predecessor, City Centre 1, which can be seen further to the west, stepped back from its podium. The ground floor will feature retail units fronting 96th Avenue, while the remainder of the building is expected to be leased / sold for a variety of office uses, particularly in the medical and technology industries. A 360 VR rendering has been released by Vancouver-based VR/AR company Stambol Studios, which specializes in creating “hyperrealistic immersive experiences”. 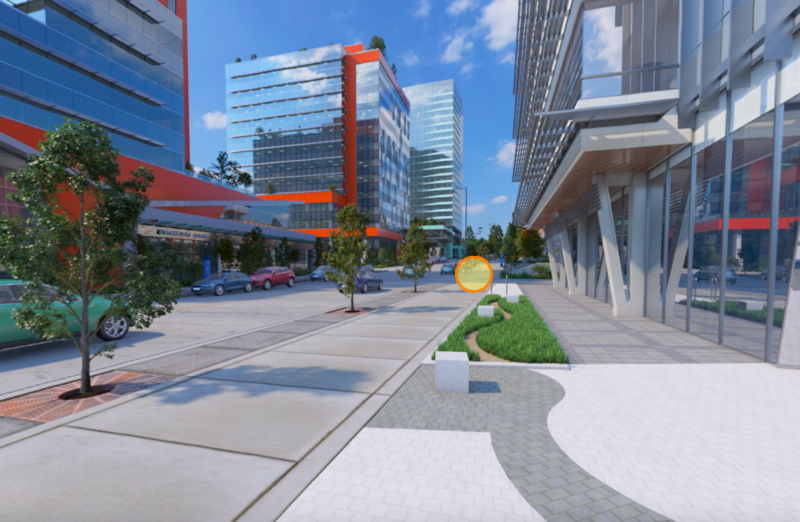 According to their website, Stambol also has an office in the very Health & Technology District featured in the 360 VR rendering. 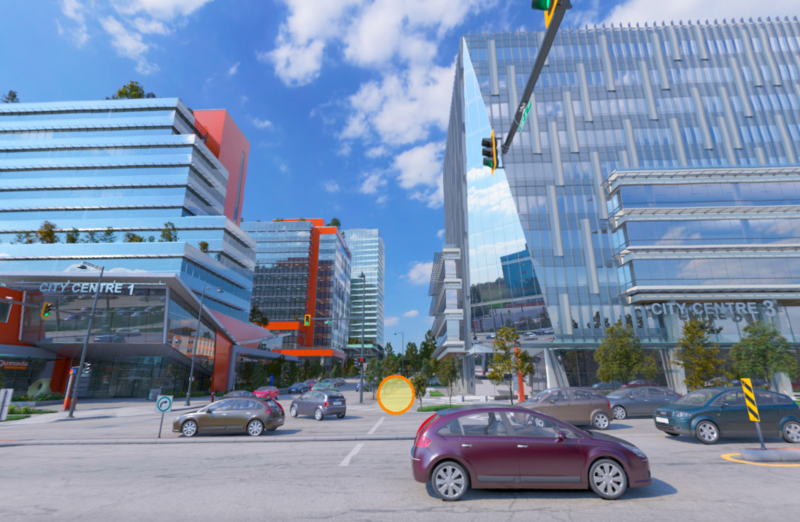 In the 360 VR rendering which can be found here, a glimpse is given into the future of the emerging Health & Technology District at the south end of City Centre near 96th Avenue and 137 St. 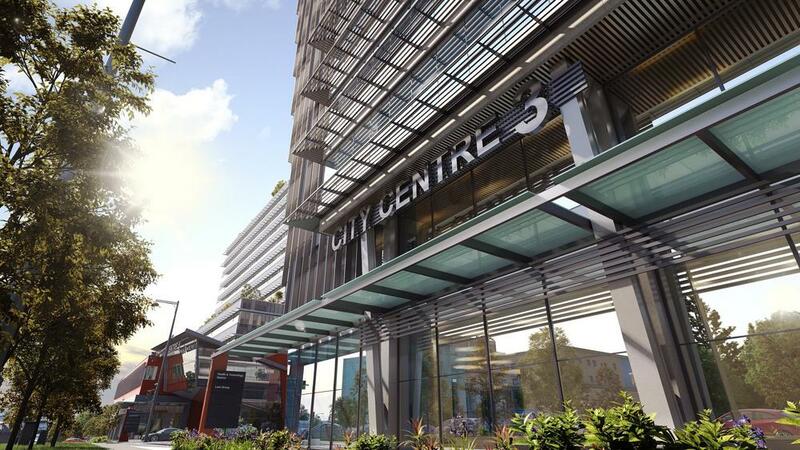 The hyperrealistic rendering shows the existing City Centre 1, and currently under construction City Centre 2 buildings, along with the recently approved City Centre 3 – all by the developer Lark Group. 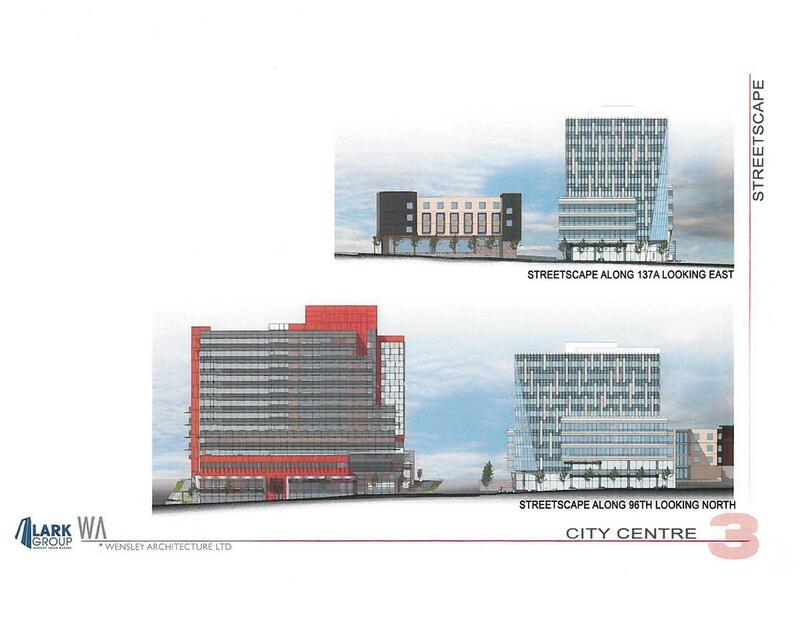 The rendering also provides a first glimpse at a future phase of the district, presumably City Centre 4 & 5, shown north of City Centre 2 along 137 St. These towers appear to be taller than their predecessors, and also have a shared podium, suggesting they would be built as a single phase. 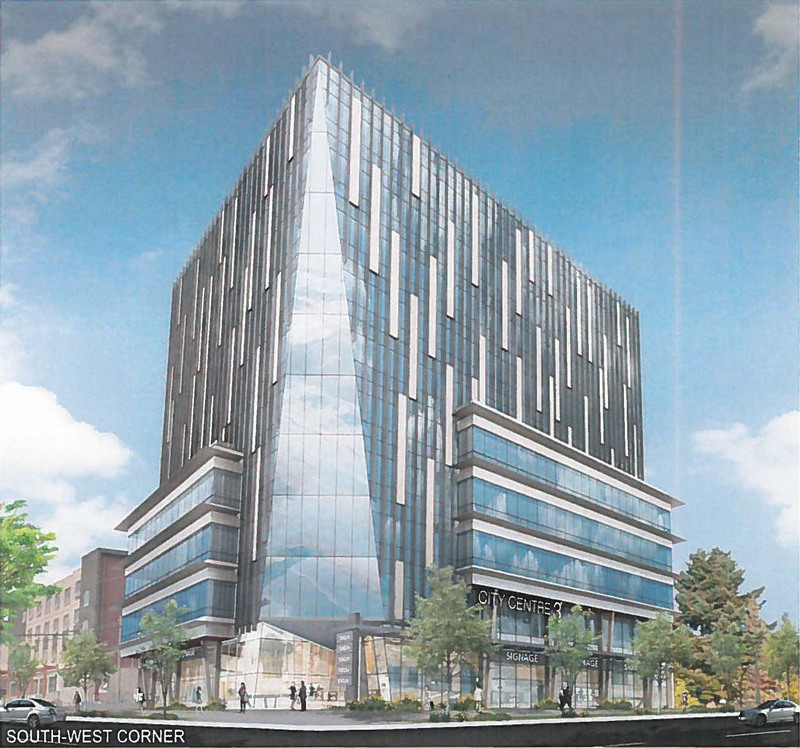 Lark Group was quoted in a Business in Vancouver article back in March, to have plans for up to 8 towers in the district, which spans from Surrey Memorial Hospital north to Fraser Hwy. Looking north on 137 St from City Centre 3 towards City Centre 1, 2 and future phase. 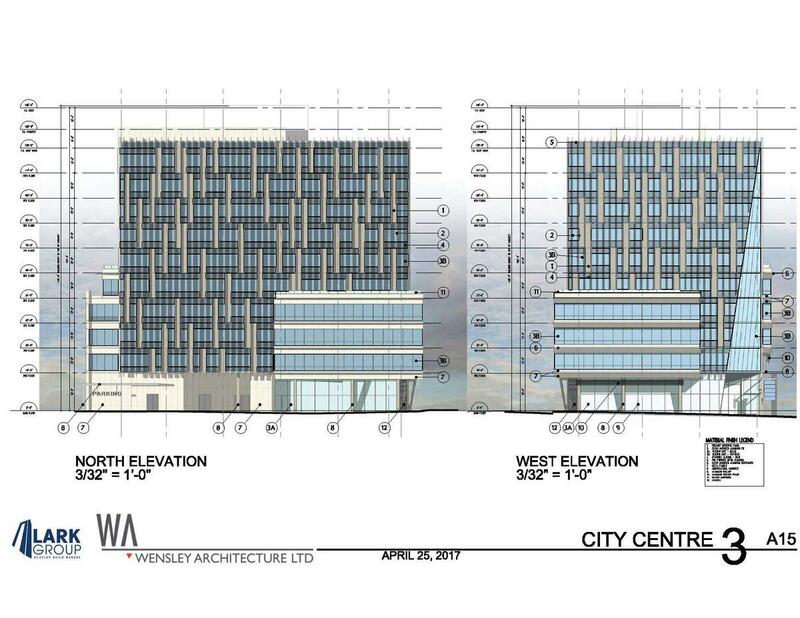 Lark Group‘s 10-storey ‘City Centre 3’ development across from Surrey Memorial Hospital is set to appear before Council on Monday, September 11 for 1st & 2nd readings. 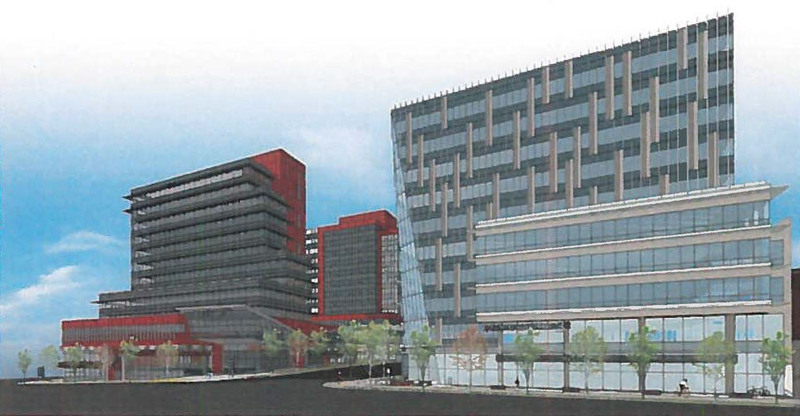 The project is the 3rd in a series of towers being developed by Lark Group as part of the emerging medical, technology district dubbed Innovation Boulevard. The tower follows the 12-storey ‘City Centre 1’ completed in 2014, and the currently under construction 12-storey ‘City Centre 2’. 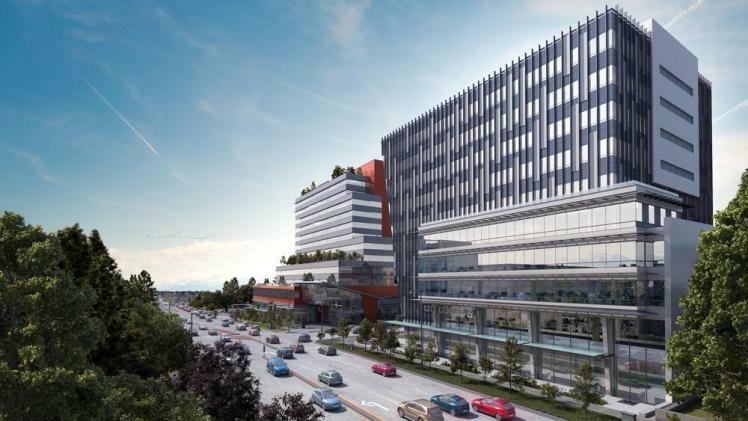 A Business in Vancouver article published earlier this year indicated that Lark Group has plans for up to 8 towers in total for the area, envisioned to become a “Stanford University type” medical / research hub. 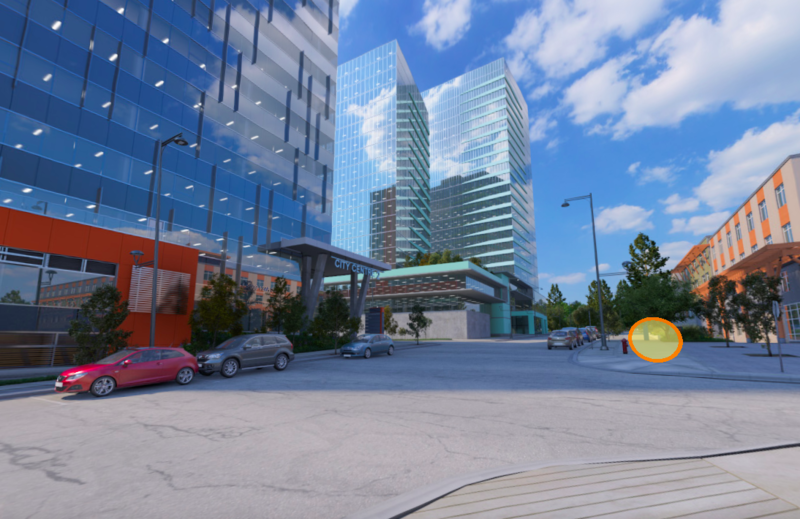 Like its predecessors, City Centre 3 will provide office space for a mix of medical offices, research, and tech firms, along with ground-floor retail. It will also provide space for a new private surgical centre. 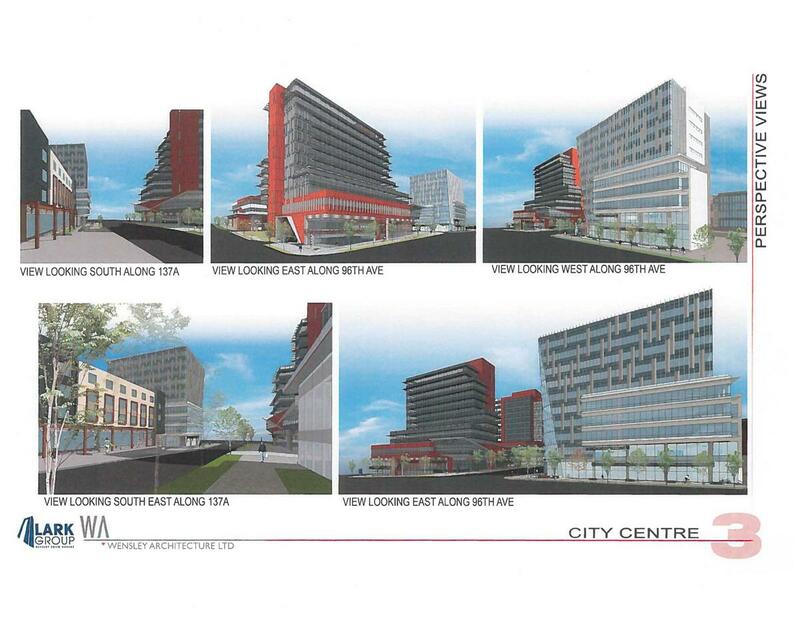 The development is seeking both OCP and City Centre Plan amendments from 3.5 FAR to 5.5 FAR, as well as Rezoning and Development Permit. Designed by Wensley Architecture Ltd., the building offers a striking design and will be a welcome addition to the growing cluster of mid-rise towers in the quickly urbanizing area at the south end of Surrey City Centre.